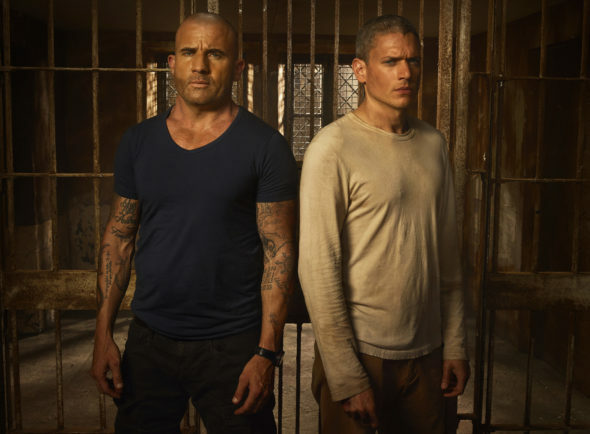 Prison Break was a awesome tv show the first time, & I was so happy it was coming back, & now we got just enough of it to keep wanting more & you take it from us all again. Please bring the show back, I love the show so much as many others do as well. Please bring this show back! Ratings on fox are crappie now knowing that most people don’t even have cable these days… plz check ratings somewhere else like via Amazon prime I purchased my season bc I don’t have TV . This has been my favorite show in history by far! Renew! Love love love this show! One of my all-time favorites …please renew! Prison Break is an excellent show. I have watched it about 6x I ordered the dvd’s. I never get tired of it. Loved season 5. Please bring season 6 on. There are so few good shows on tv now a days, bring in back. I am 67 years old and absolutely love it. Renew!! Renew!! Renew!! There are very few shows that involve such an intricate design that makes it mesmerizing to watch!! Please renew! One of the best shows ever! Please keep Prison Break!! I love the show! Great writing and actors. I know you’ve got more for the fans. Please Renew! Please do not cancel this show again!! I have waited so long for this to come back and now that it has finally come back you take it away again?!?! It was bad enough that it was rushed fitting everything into 9 short weeks…..please give the over 2 million viewers what they want and keep more episodes coming. There is still so much you can do, if there wasn’t you wouldn’t have so many viewers. WE LOVE PRISON BREAK!!! Please renew this is was so damn good…..